With all the new song threads coming up, this song needs one for sure, too! "...walked to the jungle that used to be my town, everything is different, he turned it upside down, it happened to me, totally unprepared, it's the beginning, but I'm not even scared..."
Does somebody get the second part when he starts to talk? By the way, I've tried and tried to get the lyrics from the part of Talk About You that he talks through the song.. I can't get the beginnings of the sentences. It starts with "Just living like this .... more than I know ... children(?) ... I wanna go"
Did anyone get the rest? Or did I make mistakes? Edit: by the way I'm hearing "Just the beginning, but I'm not even scared" (instead of "It's"). It's a slight difference but I thought I'd put it here. Is it me or that song has a particularly "Queen" feeling to it ? I love that snippet ! Very true...parts of it actualy. You're sure it's not... ? Can you post the screenshot of the original version? It speaks about an italian single, but it doesn't seem Talk to you. Lucrezia, what do you think? The little snippit makes me want to dance! Oh I'm sooo excited !!! Well, this is nice news to awake to on a Monday morning! The song seems very sunny and playful. Makes me happy. And the artwork is so cheerful and cute as well. I'm so excited! It was "I only want to be with you", Dusty Springfield, 60's song, don't know if it's the first version. And in another bit I listened, I heard some crescendo of How much Do You Love me. 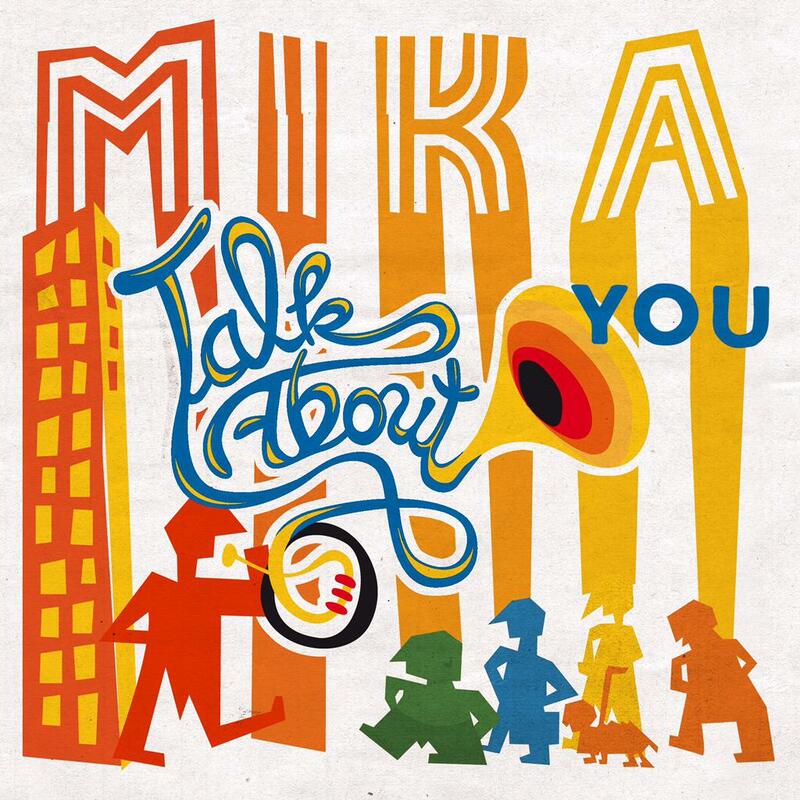 trying to hear Mika and Talk About You?